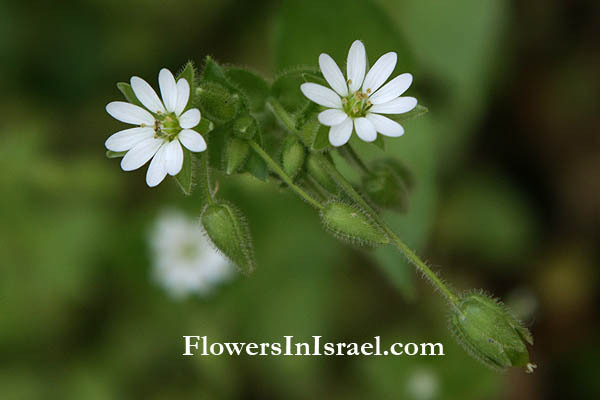 Scientific name: Stellaria media (L.) Vill. 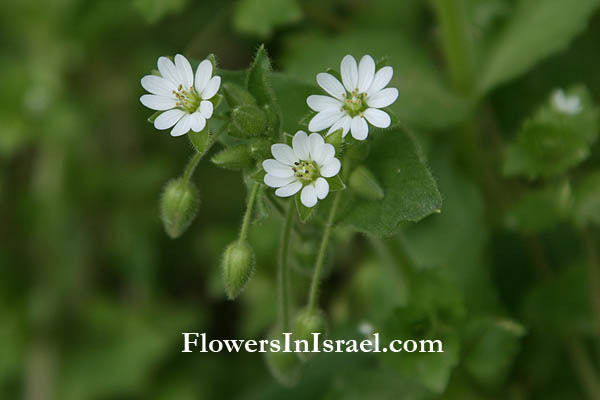 Synonym name: Alsine media L., Stellaria Apetala Ucria ex Roem. Stellaria, Latin stella, "star,", referring to the star-shaped flowers. media, in the middle, between; intermediate. 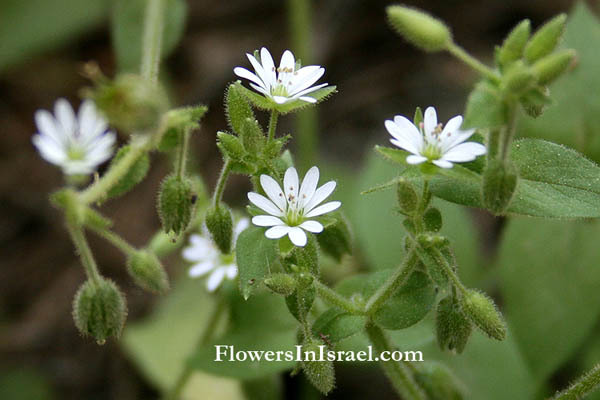 Alsine, αλσινη, a name used by Theophrastus & Dioscorides, variously thought to be chickweed (Stellaria media or nemorum). Apetala, πεταλον, petalum; a, abs, away from; without petals. The standard author abbreviation Vill. is used to indicate Dominique Villars (1745 – 1814),a French botanist. The standard author abbreviation Ucria is used to indicate Bernardino da Ucria (1739 – 1796), a Sicilian friar and botanist. The standard author abbreviation Roem. is used to indicate Johann Jacob Roemer (1763 – 1819), a Swiss physician, professor of botany, and entomologist.